Bill Cosby is using homeowner’s insurance to defend lawsuits filed by ten women who allege he sexually assaulted and defamed them, according to the New York Times. Cosby is able to use his homeowner’s insurance to pay the legal fees because he has “personal injury coverage,” which covers defamation and is different than the more common “bodily injury” coverage. Cosby's insurance is provided by American International Group (AIG). This type of umbrella insurance is popular among celebrities and other affluent homeowners. A survey by ACE Private Risk Services in 2012 found that 80% of people with assets of $5 million and up have at least some form of umbrella insurance. The Times added that Roger Clemens, Bill Clinton, and O.J. Simpson have used personal injury coverage to pay for legal bills. Cosby has limited liability coverage of $1 million on his homes in Massachusetts and California, two of the three states where he is facing defamation suits. He also has an extra liability policy of $35 million that he holds with his wife Camille. In federal courts in Massachusetts and California, and in state court in Pennsylvania, AIG attorneys are arguing to reclaim costs, stating they shouldn't have to cover sexual misconduct claims. But so far, the insurer has been unsuccessful. 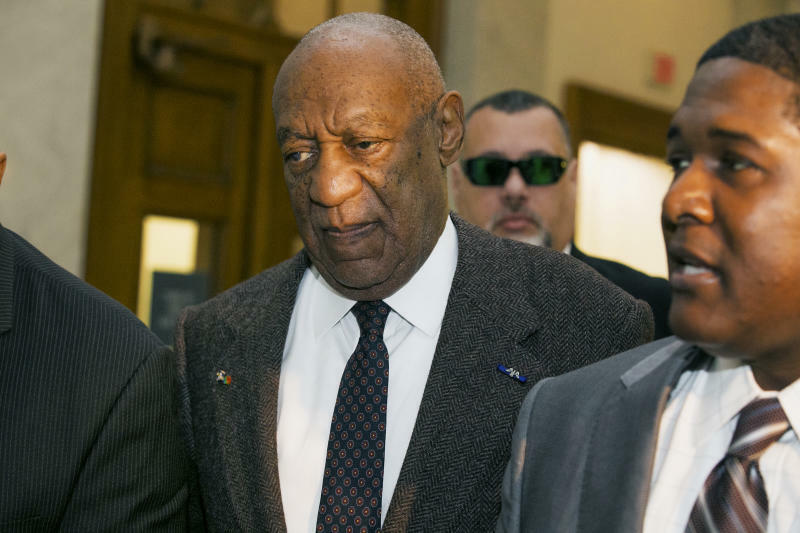 In November, a judge in Los Angeles ruled in favor of Cosby saying the policy was not clear and that the suit brought against him was seeking damages for alleged defamatory statements, not alleged sexual assault. AIG plans to appeal this ruling.